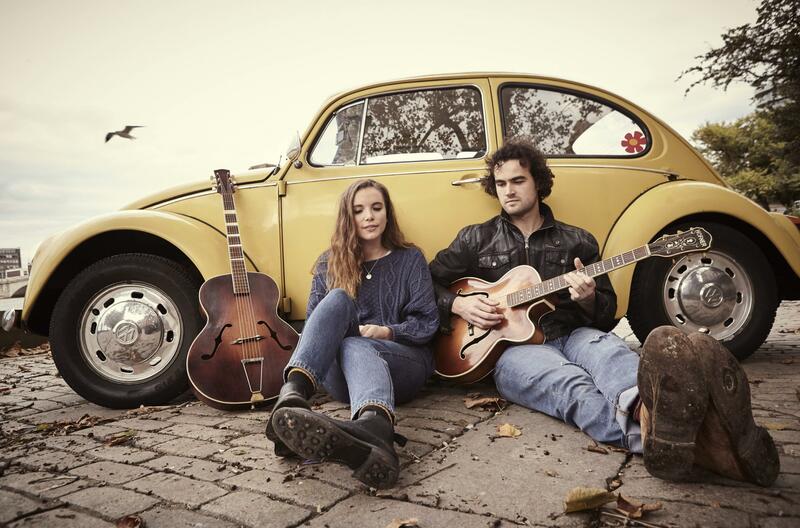 Folk/alt-country duo Ferris & Sylvester are a London-based band preparing to release their debut EP The Yellow Line. Ferris & Sylvester are songwriters – With clear references in their catchy setup to the mid-60s sounds of Greenwich Village combined with their meatier blues tones, Ferris & Sylvester sit somewhere between Jack White and First Aid Kit. Their clever combination of blues, folk and rock n roll has created a distinctive genre of their own. The London-based pair met two and a half years ago and have since won over the capital with their ever-growing live presence and songwriting. This year, the duo released their highly anticipated EP ‘Made In Streatham’ which they self-produced in their South London flat. Released through their own label ‘Archtop Records’, the EP has clocked up over 2 million Spotify streams, rose to No.1 on the iTunes Singer-Songwriter chart and received widespread praise across the board. They’re the first signing to legendary producer Youth [Killing Joke, Crowded House, Paul McCartney, The Verve]’s new publishing company Painted Word Music, and recorded their EP at his Space Mountain Studios in Spain.